Dear friends, supporters and well-wishers, The Temple of the Vedic Planetarium is one of Srila Prabhupada’s most dear desires. In Detroit in 1976, he described to me his vision for the project. He wanted to build an amazing and wonderful temple in Sridhama Mayapur to attract people from all over the world to the holy dhama and ultimately to the lotus feet of Sri Caitanya Mahaprabhu. At that time, Srila Prabhupada asked me to help finance this project. I have joined the project team and countless donors to bring the project to the stage which you see in this brochure. Now, I am asking for your help to bring this epic project to fruition. We know there are many worthwhile ventures to support in the world. Please consider the unique benefits of a gift to this project. It is a rare opportunity to touch countless souls from across the globe and help place them on the path to salvation. It is a rare opportunity to benefit so many future generations. And it is a rare opportunity to be part of something truly Historical. Take a once in a million lifetime opportunity and join me on this incredible, historic journey. 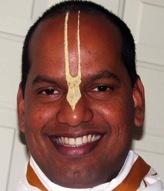 My name is Vraja Vilasa das, Director of Development for the Temple of the Vedic Planetarium (TOVP). On behalf of the whole TOVP team, I gratefully acknowledge your desire to kindly contribute to the project, and welcome you to the family of TOVP supporters. At the TOVP, your donation means a lot to us, and it certainly means a lot to Lord Krishna and Srila Prabhupada. Your gesture does not go in vain. It is our solemn promise that every penny will be used for the construction of this wonderful superstructure. Phase One of our project was funded by a very generous donation by our lead donor and project chairman, Ambarisha Prabhu. Your donation will directly fund Phase Two of the Temple construction. 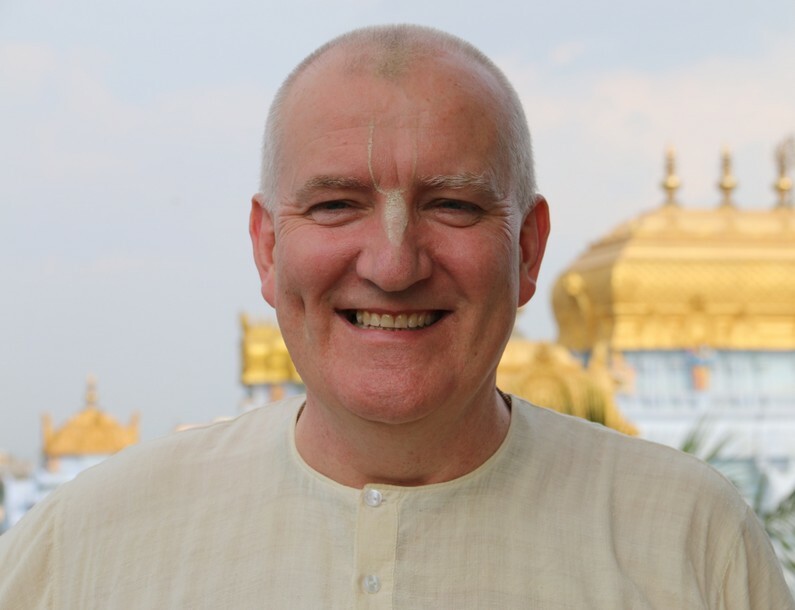 Phase Two involves preparing the basic structure for the grand installation of the Deites of Sri Panca Tattva, Sri Sri Radha Madhava, the Guru Parampara, and Lord Nrsmhadeva. Phase Two is slated for 2022. 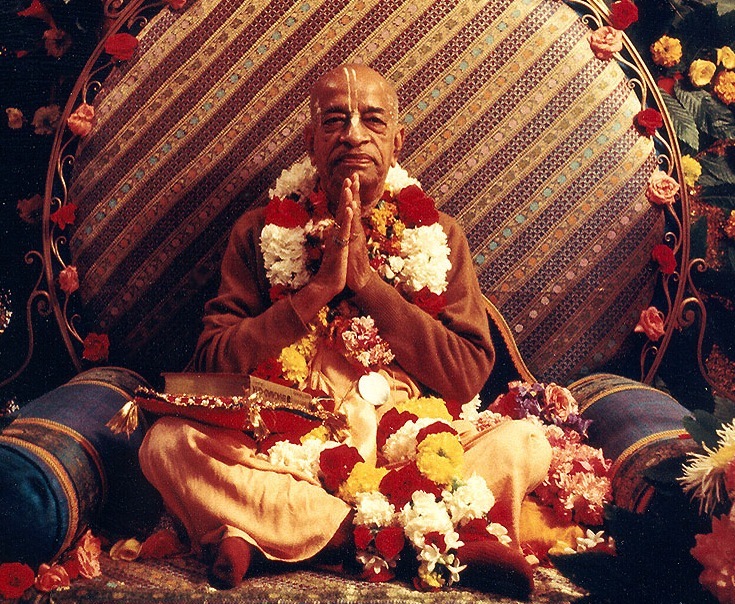 Srila Prabhupada had many goals for his ISKCON, indeed he must surely be the most ambitious goal setter of all time. 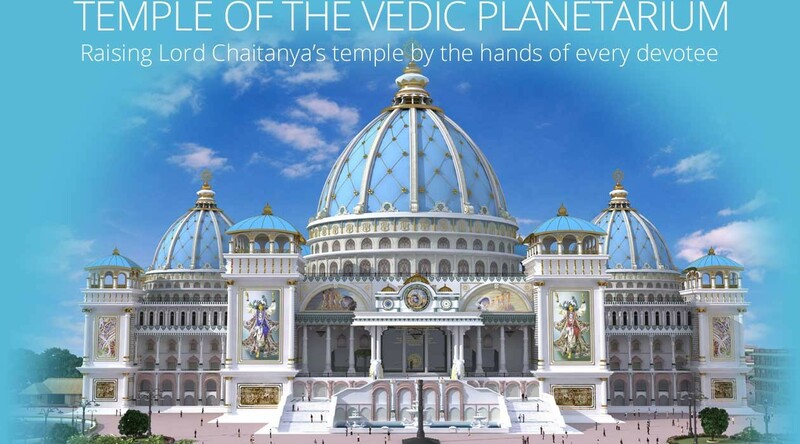 Many of those goals he personally saw to completion while he was physically present but if there was any doubt about his ongoing influence, his most audacious project is now racing to fruition, the Temple of the Vedic Planetarium! From one perspective if we consider that even the theistic scientists are unlikely to have the spiritual acumen to understand the subtle workings of the cosmos, what to speak of its spiritual origin, then their understanding that the universe came from nothing is somewhat logical. In other words it came from something that they have no understanding of, or access to, hence they conclude it came from nothing. To that end we have a starting point with the scientists where we have at least tenuous agreement. Additionally science accepts that there is no such thing as ‘pure nothing’, hence their reference that nothing is inherently unstable. So when they say the universe “popped into existence from nothing” they do not mean an absolute nothing. Rather as the Bhagavatam explains, everything that is manifest in this gross world originates from the subtle realm. So in essence the scientists are stating the same thing, that tangible matter has manifest from intangible matter. Of course as of yet they are not so aware that they are saying the same thing and are also not aware of the original source, the noumena, Krsna. 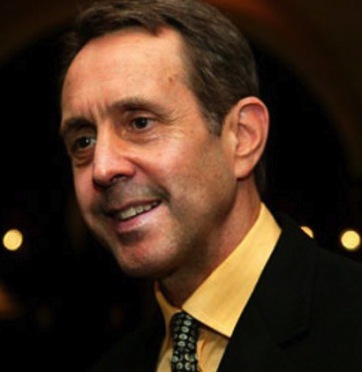 So the scientists are coming around more and more to the conclusions of the Bhagavatam and Prabhupada’s transcendental purports, now we just have to create the environment where Prabhupada’s wisdom brings them to point of not only being scientific theists but also scientific bhaktas. To achieve that we simply have to leave our ego aside and refrain from giving them a rollicking! Rather Prabhupada and the ever rising ToVP will do the rest, uniting in the intelligence of the scientists the phenomena and noumena, Sri Krsna, as they rightly should be united. So please help Srila Prabhupada in completing this project which will surely bring with it a new dawn in the understanding of the creation of the universe and the glory behind it. In the UK there are a few ways you can help out and give your donations. Above: In a gesture expressing unity of purpose for the service of ISKCON Founder-Acharya, A.C. Bhaktivedanta Swami Prabhupada, Praghosa Das, the newly appointed Chairman of the GBC, has announced in Mayapur that 2015, the 50th anniversary of Srila Prabhupada’s arrival in the Western world, is the Year of the TOVP.